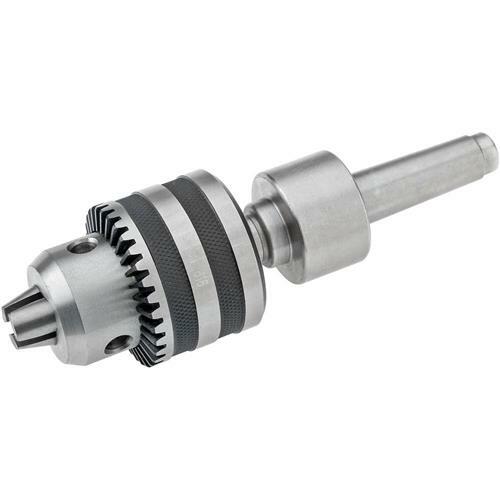 This MT2 Live Tailstock Chuck supports small diameter work where a live center is not practical. Chuck capacity is 1/32"-1/2". Includes chuck key. A must have tool for gunsmiths! Price was reasonable and it works great! I bought this for the tailstock on my lathe, have only used it once. Worked great and can't beat the price! Great item looks good and works well. Grizzly has always treated me very good, and has been a helpful company to work with. I'm happy with this. Fit and finish were nice, the chuck rotates as it should. No Complaints. Very good quality for a good price. Works great for what it was intended to do. Only complaint was the extended backorder waiting to get it. I didn't know they made one of these. But boy I'm glad they do. It works perfect.